IBS (Irritable Bowel Syndrome) is a colon condition which often results in constipation, diarrhea, both bloating and cramping. There are several treatments for IBS. One is medication, such as Imodium for diarrhea, Prevalite for bile acid binding, Xifaxan for bloating, and Lotronex for severe diarrhea. If the patient is constipated, he or she may take Milk of Magnesia or Senokot. However, these are pharmaceutical chemicals that should not be used for a long time. 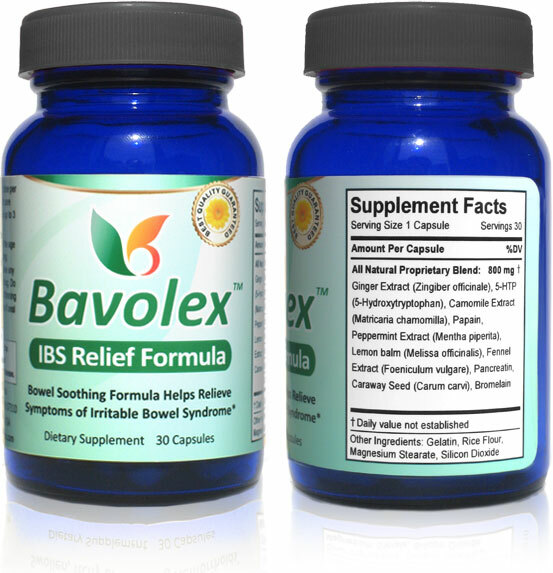 Natural solutions such as Bavolex IBS relief is safer in the long run. Probiotics have been proven to have some effect on bloating and pain. Probiotics are available at a drug store. Yogurt is also an excellent source of probiotics. Some other, complementary therapies include relaxation exercises, such as deep breathing and muscle relaxation. Another approach is cognitive recognition, which relaxes the patient. A third approach is an acupuncture. Another approach is exercise and relaxation activities. In the U.S., about 15% of the people have experienced IBS. This condition starts mostly in adolescents. There is 50% more ladies than men having IBS. The most typical reason for IBS is anxiety. Stomach pain is a problem for those who have IBS but it does not cause cancer or organ damage. Having said that, long-term IBS can cause depression or hemorrhoids. According to doctors, there could be a connection between a IBS and neurological problem. The intestines receive messages from the brain, while they send impulses back. The more stressful a person is, the less powerful is the brain's capability to send messages to the intestines. With this problem, the intestines may move food too fast or too slowly. The individual will suffer from diarrhea and painful cramps or constipation and bloating because of it. IBS is linked to sleep problems, stress, and anxiety. The first thing people normally do is to get over-the-counter medications for constipation or diarrhea. The relief is not long-lasting. It does not fix the underlining problem. Since IBS is strongly related to stress and anxiety a physician might prescribe an anti-anxiety drug. There are individuals who become drug dependent on these drugs even after the IBS is gone. Ensure you know what chemicals are in the drug, so you know what side effects you get from taking them. When taken as directed and following the advice in our eBook you will see a considerable improvement in less than a week. A small percentage of our customers do not respond to our product, for this case we offer 60 days full money back guarantee. Our guarantee is simple: If you don't see a significant improvement, we do not want your money! Manufacturing safe products is extremely important for us. Bavolex™ contains only natural plant and herb extracts that are generally considered safe. Our customers have been using Bavolex for many years, and so far no adverse events (side effects) have been reported. As with other products we recommend that you don't use Bavolex products while pregnant or nursing because the effects on fetus have not been tested. You should not take Bavolex if you are taking blood thinning medication or antidepressants. 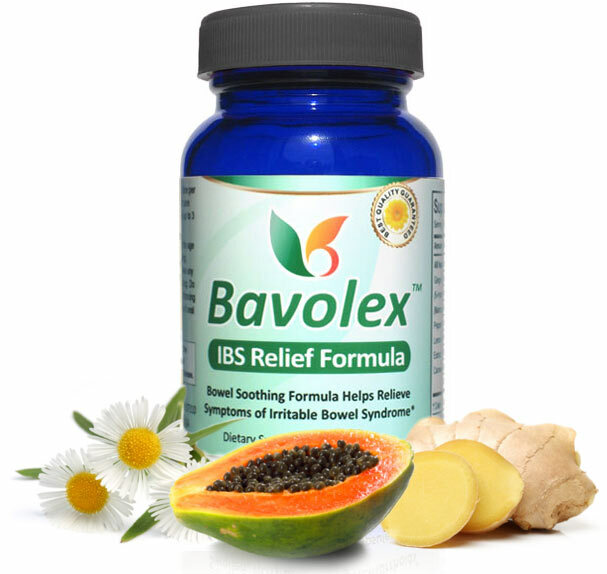 "Bavolex IBS Relief Formula is herbal supplement formulated with natural extracts and enzymes to help reduce IBS symptoms. 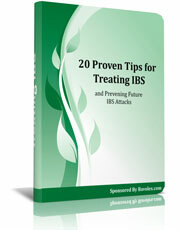 *"
Learn 20 useful tips to stop IBS attacks for good. These tips cover stress reduction, ways to prevent an IBS attack, and diet. This no-nonsense eBook comes as a bonus when you order Bavolex today. A must-read for those who want to stop this embarrassing inconvenience.